I wonder if Toronto is the first to ban it but I am trying to get this post out so I don’t have the time to research at all. 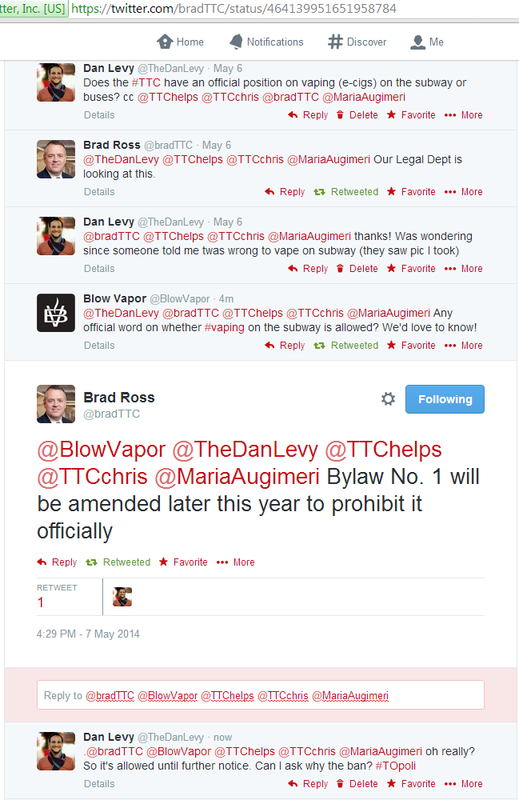 Do you know of any other transit systems or public places that have banned vaping? Let me know in the comments! Also, do you agree with this move? Or do you think that vaping should be allowed in public places? Leave your thoughts in the comments! Tipping. It’s a part of North American society that we deal with on a regular – some of us daily – basis. For certain services it is expected that you tip. Get a beer at a bar? Tip the bartender. Eat at a restaurant? Tip the waiter. Take a cab somewhere? Tip the driver. 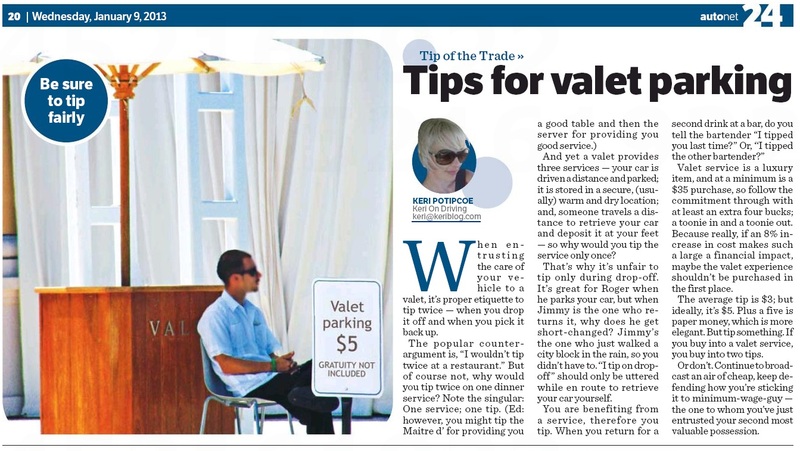 Have your car parked by a valet service? Tip them. But for parking valets who and when do you tip? Interviewing valets for next week's articles. Basically – tip them both when picking up and dropping off. Note: The only changes I have made were to remove identifying information. 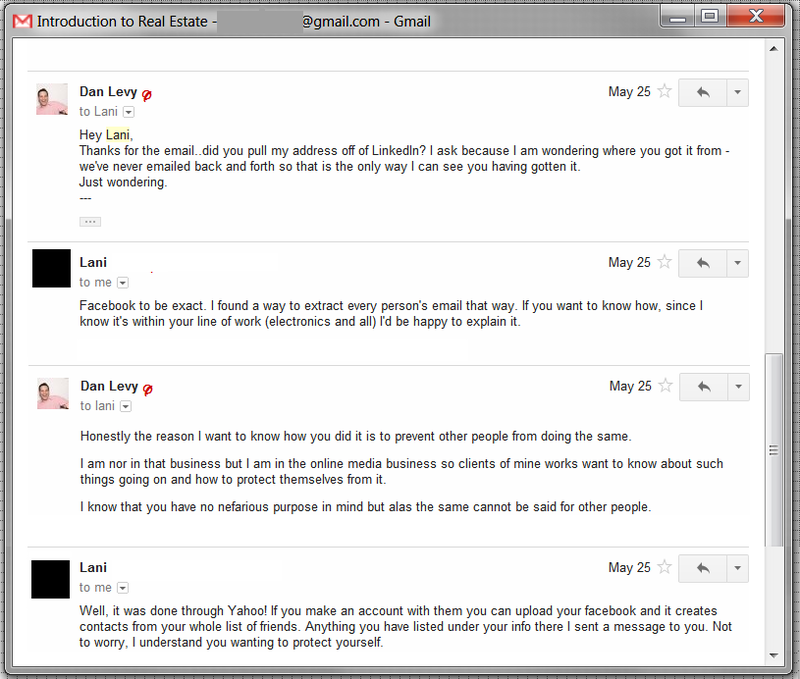 His reply to my final email as you see above was to explain to me how he did it. He either didn’t get how perturbed I was (read between the lines dude!) or didn’t care. I wasn’t happy about the whole thing but let it go after that because it didn’t seem worth fighting over and being a jerk about. I assumed I was not the only one who had the nerve to call him out on spamming people. I also, quite obviously, opted out of receiving further emails from him. When he joined Twitter a month later – in June – he started following me. I gladly gave him some advice on how to be more effective for his business on Twitter thinking that helping him would mean he was less likely to be spamming people. I told him to first and foremost change the default profile picture which he did pretty quickly and then mentioned a couple of other things which seem pretty obvious to the average person who spends a lot of time on Twitter and the social web but may not be to others. Then the night of December 12th I had another conversation with Lani. The conversation you see below is one that actually happened and is unedited. When reading it remember that I was half asleep as it began at 12:45am and that this wasn’t the first time that I had dealt with him and was already quite wary of the way he conducted himself online…remember I had also been following him on Twitter for half a year and saw him pretty much ignore all of my suggestions. The full conversation, the only edit I have made is to white out his name. If you read the beginning of our conversation you’ll see I was being as noncommittal as possible. I tried to avoid the issue giving brief sort of funny smart aleck answers to his questioning and he should have just left it at that. If someone isn’t at all interested in the conversation how far do you keep pushing? After I could see he wasn’t getting it I just straight up called him as I saw him – a spammer. I also sort of saw it as my right once he called me a ‘guru’ which I don’t think I am but if he was going to call me a guru which meant he considered me a master and leader and teacher I was going to do my duty to him and teach him. Sure I could have sugar-coated it but he clearly hadn’t gotten it before when I had tried to do that via our email exchange so this time I had had enough. If I hand you a business card that does not mean I am opting in for your email list. It means I want you to have my email and for you to personally be able to get in touch with me. Facebook friendship does not mean I have opted in to your email list. The fact that you have an opt-out option in your email list is irrelevant. Those listed have to have opted-in to your list in some way before you can send that first email. Even if it wasn’t a direct violation of Facebook’s rules and what is legal and illegal in Canada and the USA (according to privacy laws) it is an extreme breach of trust given to you when I friended you on Facebook. You are not Jean Valjean (aka 24601) and the fact that this is your livelihood you are breaking the law for does not make it OK to break the law and breach people’s trust by misusing their information. By that logic we should be doing nothing to stop spammers and hackers because it is their livelihood to do malicious things on the internet (OK, some of them are just jerks but you get the point). Also, don’t call someone a guru if you don’t darn well mean it. I don’t think I am a guru, I think I haven’t even begun to scratch the surface of the knowledge I would need to amass before I could even hope to meet with a guru and be able to have an intelligent conversation with them beyond the words “Hello, my name is Dan.” BUT as I said above, if you submit yourself to my teachings by calling me a guru don’t get insulted when you don’t like what you hear. I call them as I see them and give people straight answers. When people comment on this blog and when I comment on other people’s blogs (usually requiring an email address to be entered) I don’t expect to be added to mailing list. 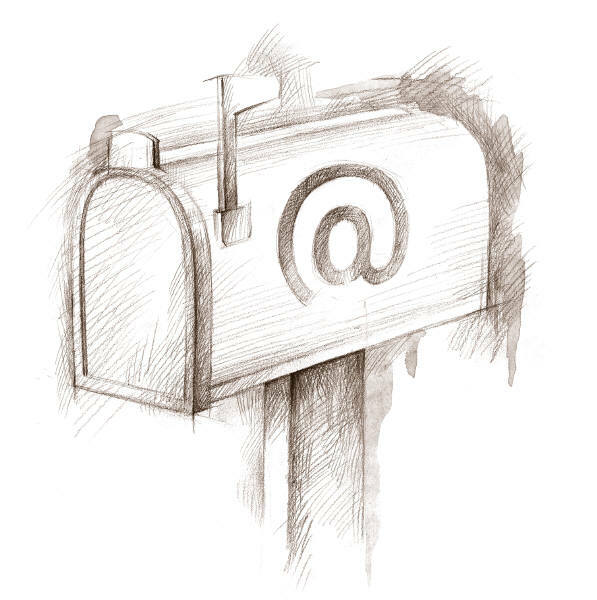 How many blogs have you seen which go out of their way to assure you that they take your privacy very seriously when you give them your email address, there’s a reason for that. Do you have anything to add to this? Have things like this ever happened to you? Think I was too harsh on him in our Facebook conversation? Let me know! 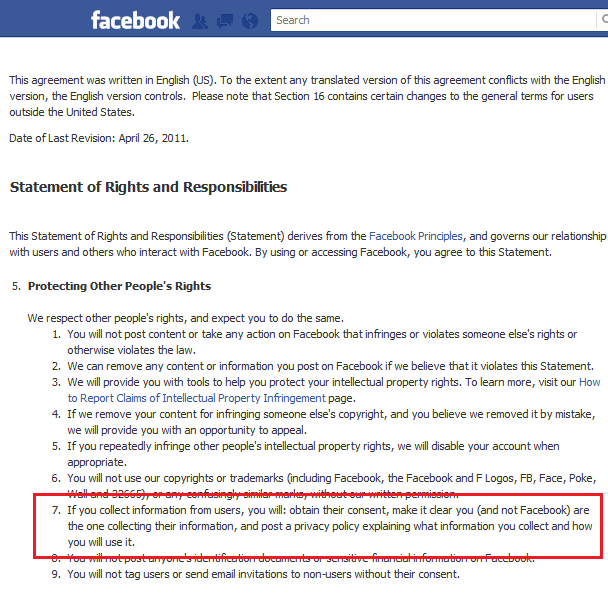 Facebook “Statement of Rights and Responsibilities.” You can find the full text here. Marketing Competing Products In An Event’s Swag Bag? OK Or Not? 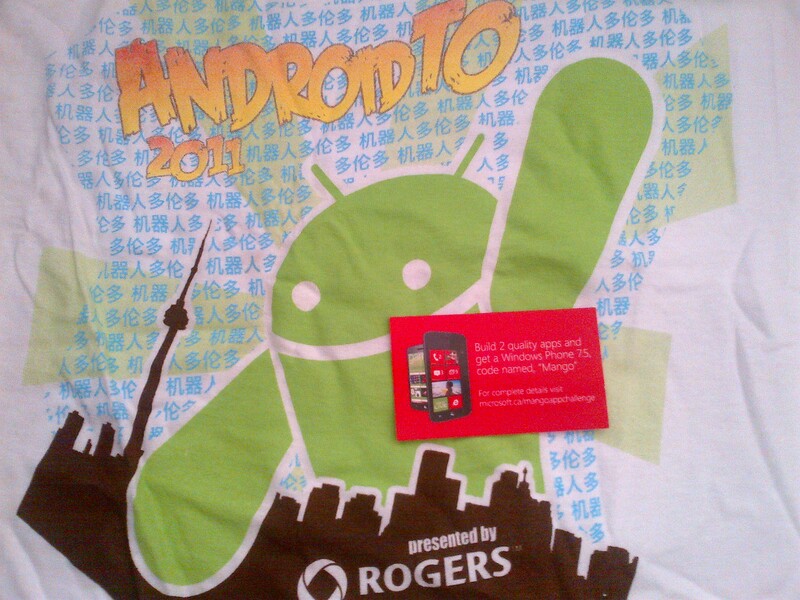 Yesterday and last night I was at AndroidTO 2011 thanks to my buddy Justin Baisden (@The_JMoney on the Twitters) and I had a fantastically amazing time – and learning experience – all day during #AndroidTO itself and the #Harthfest after-party afterward. Ok, you got me, there wasn’t any learning going on during Hartfest. Come to think of it, Harthfest was more about killing brain cells with alcohol, but I digress. While I can write a lot about many different subjects from AndroidTO – which was an extremely well put together production by the organizers and volunteers – what really struck me yesterday is the way one of the event sponsors chose to use the AndroidTO vehicle to market themselves and their products. I am somewhat uncertain about the etiquette of even writing this and naming names so if you think I should take down the specific references, let me know. Above you can see the picture of two of the items from the AndroidTO event swag bag – one very appropriately themed awesome t-shirt…but what is up with that red card? Is it for Microsoft Windows Phone 7.5 Mango? It is? What the…? For those of you who don’t know, Microsoft’s Windows Phone 7 platform IS NOT a version of Android. I get it that the vast majority of people who attended AndroidTO were in some way or another involved in making a multitude of apps on a multitude of platforms a reality. I understand that Microsoft is trying to push for people to develop for their mobile platform. I am well aware that a lot of app developers/development companies don’t just do one platform but do apps on many different platforms but was the AndroidTO swag bag the place to push a different mobile platform? To me it seems like it really isn’t the place. Some who were there yesterday may argue that the panels and speakers yesterday didn’t only discuss the apps they had and development experiences they had with the Android platform but talked about a myriad of other platforms as well. While this is true, it doesn’t change the fact that the panel members discussing different mobile platforms in terms of their centralized app downloading spots or marketing the app on the internet or through traditional media or beta testing an app holds true pretty much across mobile platforms and is, therefore and in my mind, completely valid to bring up. But out and out advertising a contest for developers to develop for a different platform through the swag bag of an event targeting and geared towards another platform just seems crass to me. What say all y’all? Let me know in the comments! I have written a number of Cell Phone Etiquette posts in the past – you can find them here, here, and here – and just realized my last one was written in May 2010. Therefore, for today’s post I have decided to once again tackle Cell Phone Etiquette. To be fair, this post is somewhat of a PLEASE STOP DOING THIS as opposed to a discussion on etiquette but I will let you, my readers, make the final judgement on the suitability of the title. You receive a text message asking you a question (or a series of them). You realize that it would be way easier to answer the person’s question(s) if you just called them instead of typing a veritable novel as a response so you hit the ‘Call’ button on your phone and they don’t pick up. You wait a minute or two and – politely – text them that you just called them to reply to their question(s) and they didn’t pick up – no response. You are confused. I call this kind of thing The Text & Run. This kind of behavior is definitely very high on my list of pet peeves of modern communication. 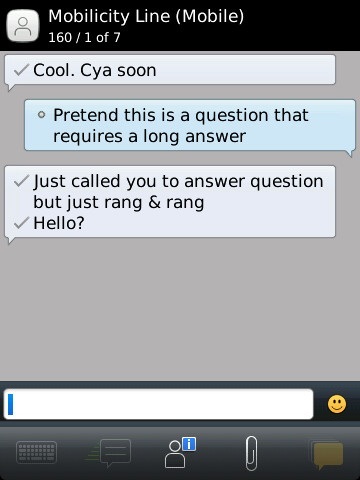 Beyond that it is just plain rude, what do people think the person on the other side of the phone is going to believe? That after you texted them you threw your phone across the room and ran in the other direction? Is that why you aren’t replying to calls and follow up texts? Don’t get me wrong. 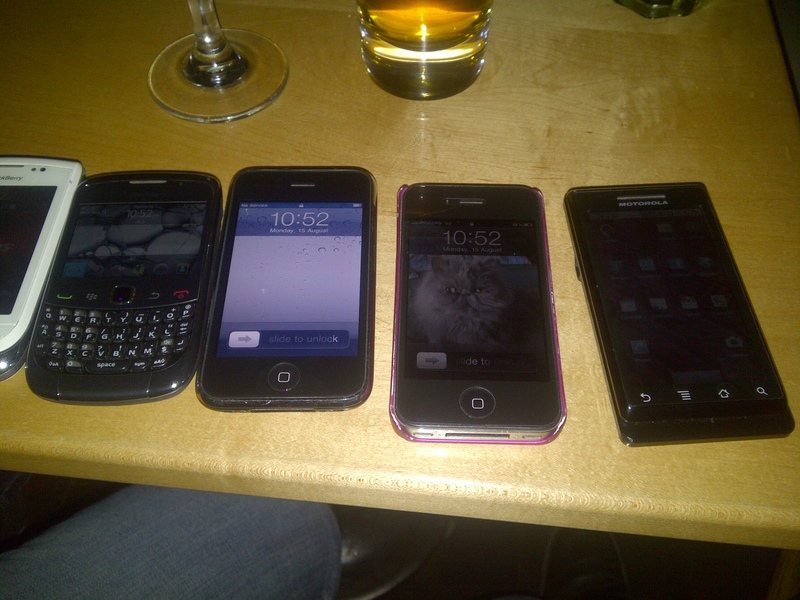 I completely understand that there are times when although one can freely text they can’t pick up the phone. But if that’s the case then send a text to us explaining the situation. To paraphrase Warden Samuel Norton in “The Shawshank Redemption”: Don’t just vanish like a fart in the wind! Does this happen to you ever or am I alone on this? Do you find it as annoying as I do? Let’s work together to let recurring Text & Run offenders know that this behavior is bad etiquette, downright rude, and all in all not ok! Remember I discussed about a month back about different business cards and how once you hand over your business cards there’s no point in self-deprecating because they want to speak to you and don’t really care about your business card and what it looks like? 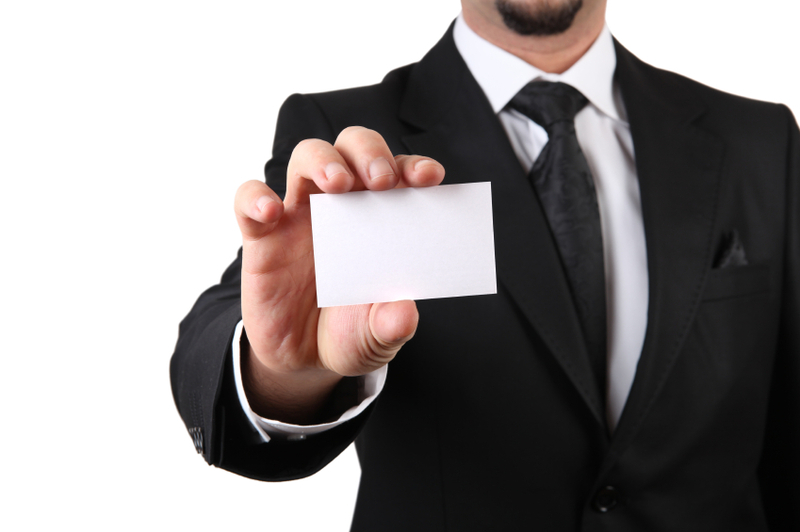 Well, today I have a question for you kind folks about business card etiquette – as well as my own opinion on the subject (obviously). I am trying to figure out the best way to write this without self deprecating myself (which is what I’m advising we should all avoid) so realize this as you read this post. The business card you see below is the business card which I’m currently using. I have had them for a bunch of years as when I ordered them I got 1,000 and really didn’t need to hand them out much until the past year. 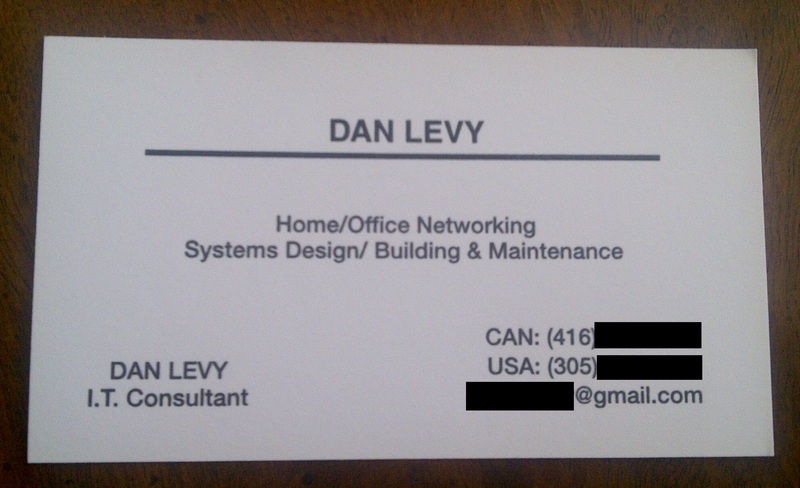 Even then, I often had business cards from other places for which I was working. I had these cards made by Staples and they are, as I mentioned basic. However, the contact information is all still completely valid even while the title and stated raison d’etre of the cards aren’t. However, the thing that I have realized more and more as I hand these cards out is not to belittle them as I hand them out. I used to go places with these cards in hand and when someone asked, “Do you have a card?” I would pull out one of these and start excusing their basic appearance. People have said to me when I did that, “Oh, is the contact information valid?” to which I obviously replied the affirmative. They then would shrug and say that it was fine because that’s all they care about.